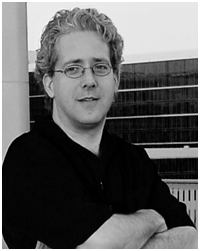 Robert Dennis, is an avid Photoshop user and graphic artist. Using his background in Theatre and prop making, Rob went into the digital world in 2000 to get in on the digital take-over of photography and graphic design. He has been working as a retoucher, photographer and digital archivist, ever since. A strong advocate for education and re-training, he has been teaching Photoshop at Studio Arts since 2005. Also, Rob has guest taught at the Gnomon School and Glendale Community College. Rob has been featured in books by Scott Kelby and Matt Kloskowski. Additionally, he has been nominated, and awarded a Guru award in Digital Illustration from the editors of Photoshop User magazine.